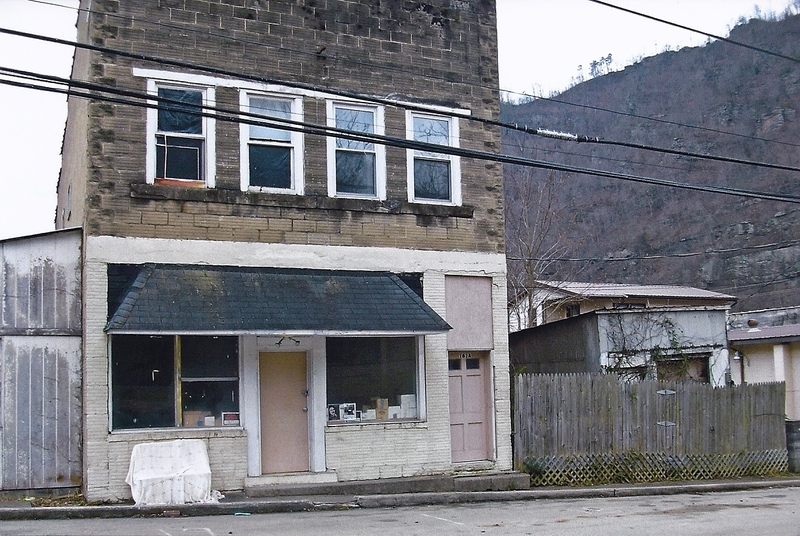 How an abandoned Eastern Kentucky building was transformed into the area’s only commercial laundromat, employing the locals and becoming a neighborhood hub–and whose idea it was to bring microfinance to coal country. Mission: The mission of the Praise Laundromat microenterprise project is to create jobs for unemployed Kentucky residents while providing access to laundry services for townspeople, neighbors, and visitors. Praise Laundromat, not affiliated with the founder’s or any church, after initial seed funding has become economically self-sufficient. Bringing community members together, Praise Laundromat hopes to expand services to include refreshments and a gift shop featuring such Appalachian artisan goods as candles, birdhouses, and quilts. Impact: St. Joseph Church serves a tiny faith community of about twelve people, with outreach to anyone else in need in the area. The many folks who have shallow wells for their water supply, or who do not have adequate water pressure for a washing machine, used to have to travel a long mountain road to get to a Laundromat. The closest one was 25-40 miles from Elkhorn City. Praise Laundromat now serves up to 12,500 people including residents as well as campers and visitors to the nearby Breaks Interstate Park and Cumberland Gap National Park. The town sees tourists especially in spring and fall—when “the mountains are especially beautiful,” according to Sister Margie—and in May, when 1,000 people come for white water rafting or to attend an annual Civil War reenactment. The “Praise Laundromat” microenterprise project, initially supported by the Skees Family Foundation, operates independently of the St. Joseph parish. “We try to help anyone who falls through the cracks,” says Sister Margie. Our connection: As with so many instances of how things get done, we began with a personal connection of our board member, Jasmine Panchot Skees, with Sister Margie. A skilled seamstress, Jasmine spent many years in her Dayton, Ohio home, sewing dresses on her beloved Singer machine for schoolgirls and shirts for schoolboys in Elkhorn City. She would then add underwear, socks, hair accessories, and any donated clothing she and her husband Hugh could gather up in Dayton. They would then drive six hours to deliver inventory to Sister Margie several times per year. become financially viable within one year of operation, with the idea of expanding commercial services to create income for more residents. Beginning in 2009, we devoted $12,000 in grants over two years to help get Praise Laundromat established. Our grants supported initial rent and salaries, as well as interior rewiring, plumbing, water-heater, and propane-heater setup for the business. However, just over one year after the idea began, Praise Laundromat opened its doors in July 2010. Sister Margie and her Elkhorn team—mostly retired volunteers—secured rented space on their second try—and it turned out to be far larger and more versatile than the first. They installed industrial washers and dryers that they finally found for a fair price: The first contractor had gotten turned away after trying to inflate prices for the sweet little nun. Sister Margie did her homework, and Maytag got the job. Praise Laundromat hired a manager whose husband had been disabled in the coalmines. Debbie had volunteered many hours preparing the space, wielding a paintbrush and setting up a snack bar. Now, Debbie and four other locals operate the laundromat, which runs a busy wash cycle all week. Donate directly to Praise Laundromat: Please email Sister Margie @ [email protected] She welcomes your ideas and support. You can also send a letter or donation via paper mail to: Saint Joseph the Worker Mission, 16961 State Highway #80 Elkhorn City, Kentucky 41522-0055. Telephone: (606) 754-5225.